If there's a place where coffee is overpriced, it's definetely in Venice. Whatever view you can contemplate. I call this a rip-off. I've never paid such a price in Italy, even in the most luxurious places in Paris. Concerning the French Cafe where I go regularly to, I never had the slightest problem about prices, or anything else, and the coffee is at least as good as the Salvador's. Once more I'm surprised reading people regularly complaining about French Cafe. May be it's not the best place in China, but in my point of view it's still a nice place to meet friends, and watch time passing. I should like to know how these people do behave when they are talking with the staff! In parallel to the groceries debates which are beyond me, it seems to me that nobody said anything about the greedy landlords who are increasing rents year after year, especially in Wen Lin and Yun Da area, but maybe I'm wrong. maybe you don't like cigarette smoke, this I can understand, but why mention especially the French Cafe? It' useless. This place is not by far the worst. He can be French, Russian whatever. Which difference doest it make. To be impolite is an universal habit, especially when people are abroad, far away from their home country. I've heard that some places allow people to attend classes only 10 hours a month or so, which is not, let's say very restrictive. This is not only a chinese problem. I travelled in many European countries, as well as USA. Books could be written about this issue, and photos to illustrate. 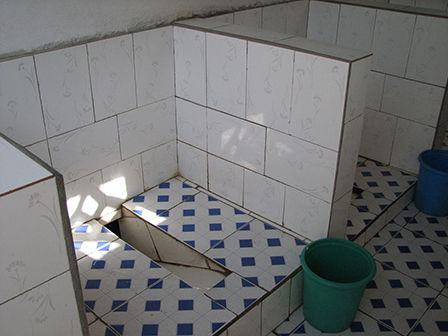 A lot of toilets around the world are worse than the dirtiest pigsty. Please someone could explain me how to get there, as I am new in Kun Ming, and my Chinese not yet very good. It seems according to Geezer that there are other buses to go to Guan Du? 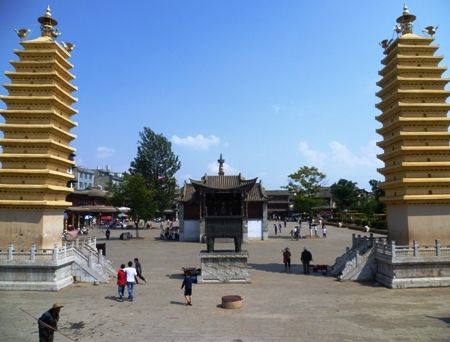 I'm living center of Kun Ming, and I did not see the buses indicated in your previous post.